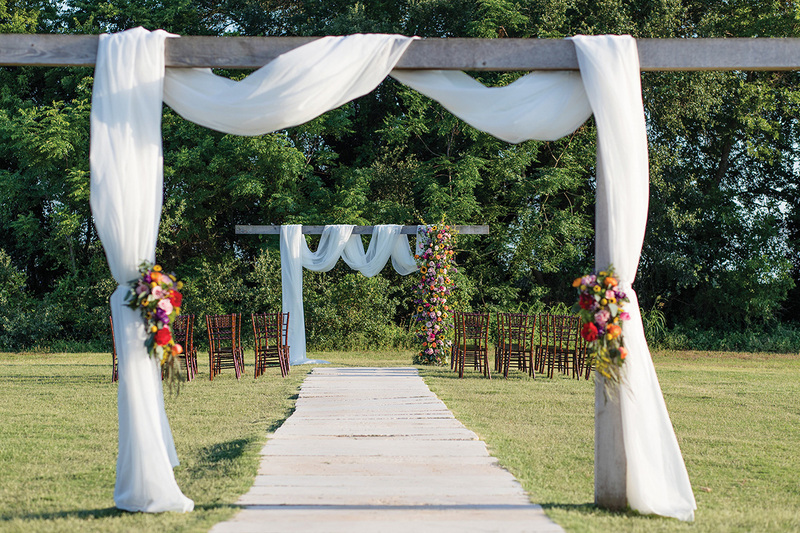 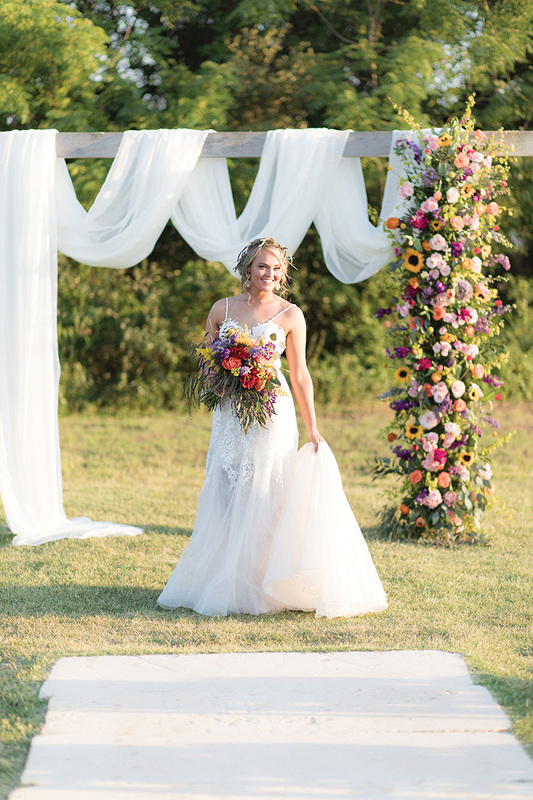 The setting sun cast a delicate glow on our flower-adorned bride as she stood under draped arbors at our latest styled shoot on the grounds of Rustic Acres Event Center in Belton, TX. 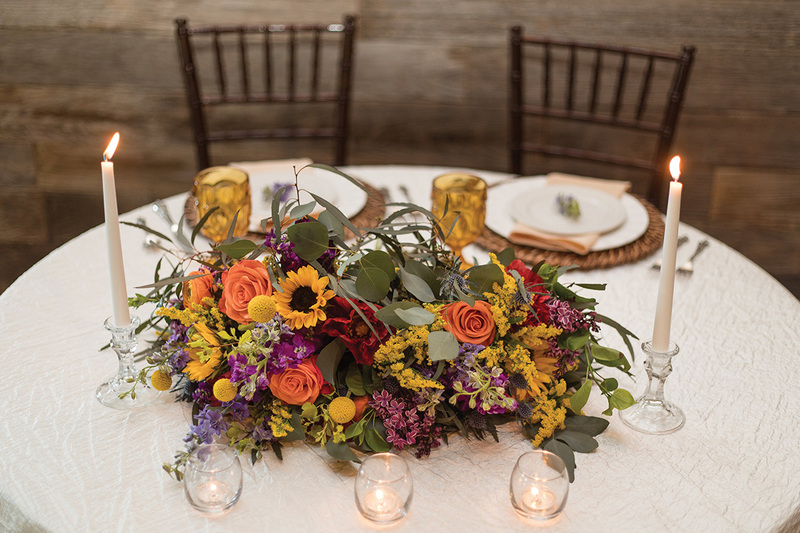 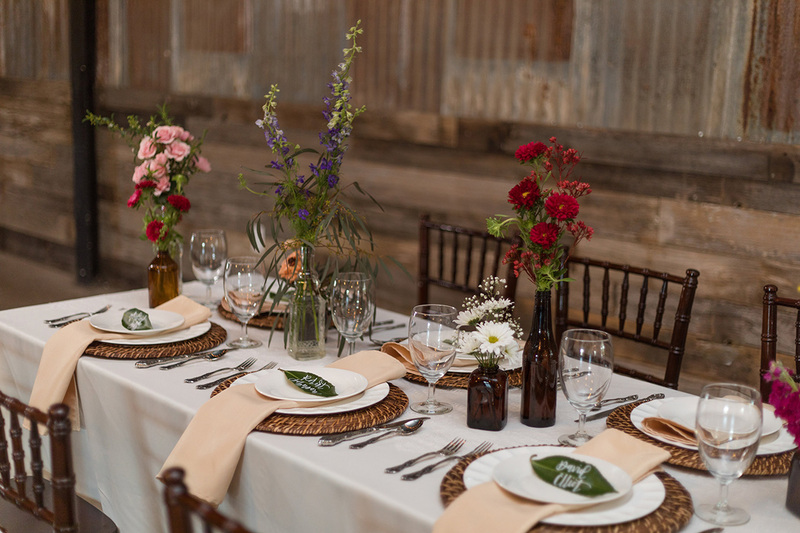 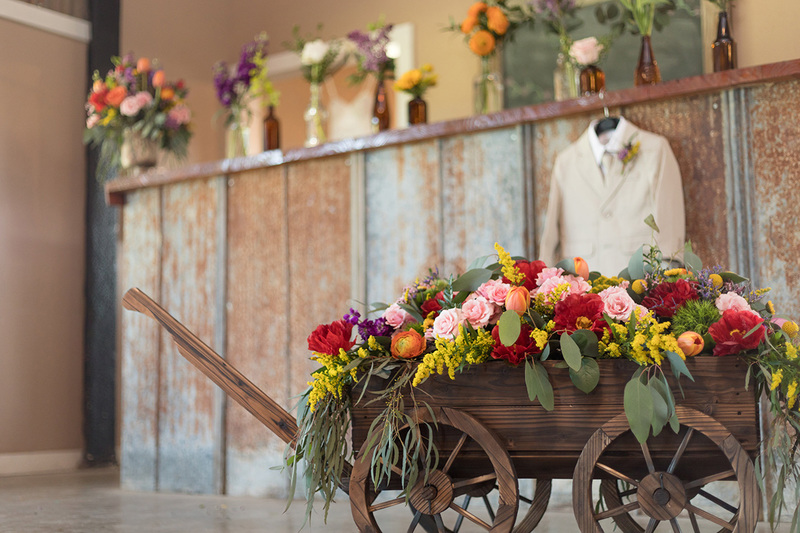 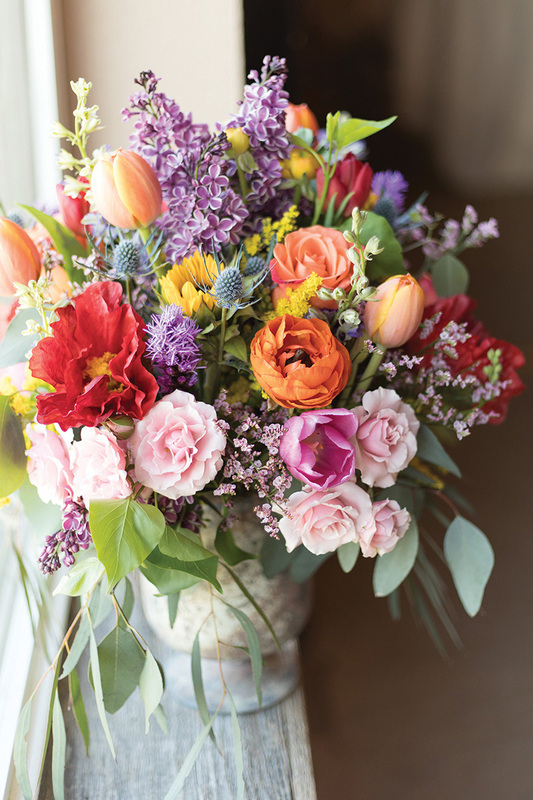 Sunflowers, roses, daisies, and other wildflowers bloomed in arrangements throughout the venue, in antique pharmacy bottles and a rustic wagon, creating a whimsical vintage feel. 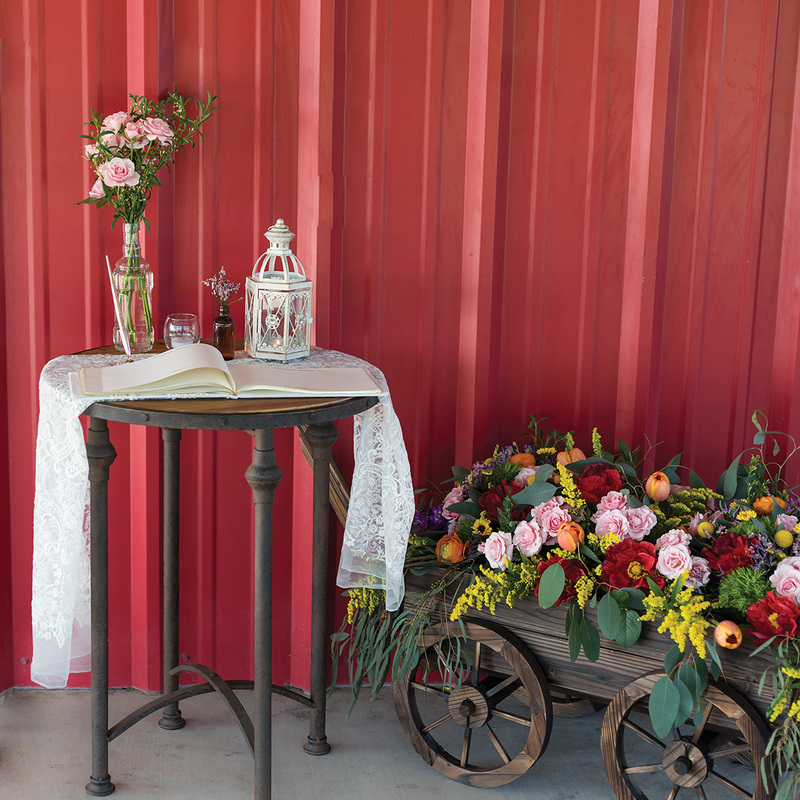 The venue’s red barn-style reception area brought out the rosy hues of the bouquets and juxtaposed nicely against the white table runner that draped daintily under the guest book. 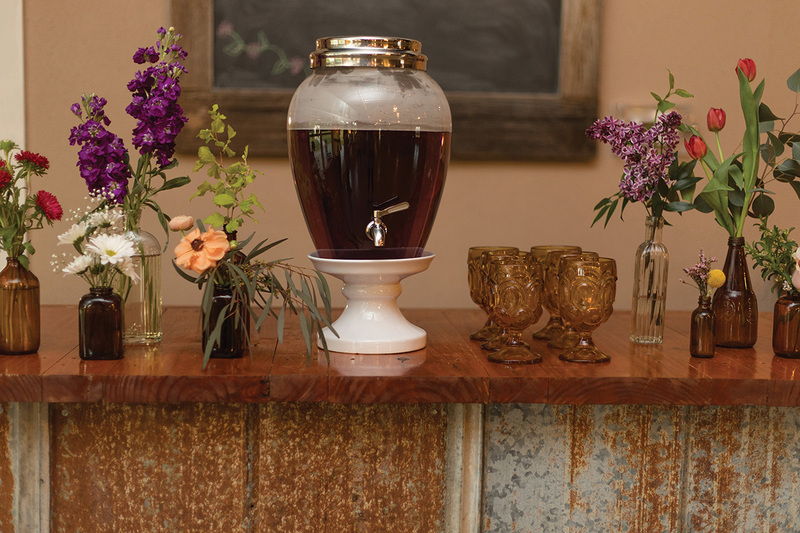 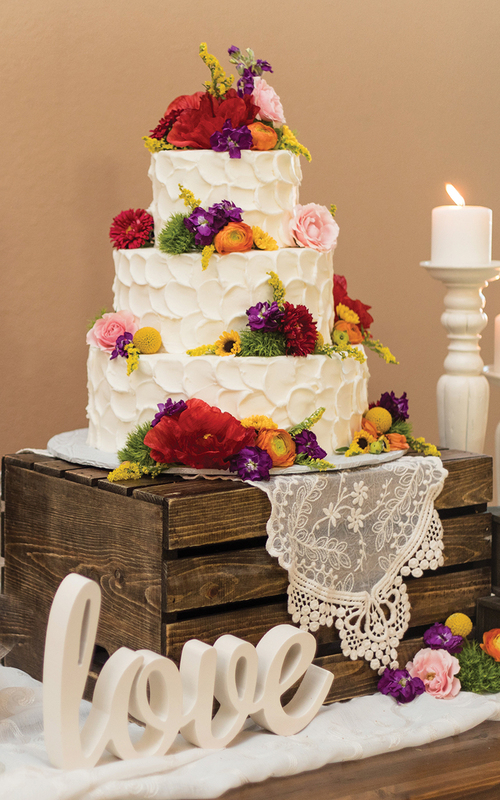 Sweet tea and other refreshments gave a decidedly southern vibe, that complimented the crate turned cake table that was accented by white column candlesticks and a delicate lace doily. 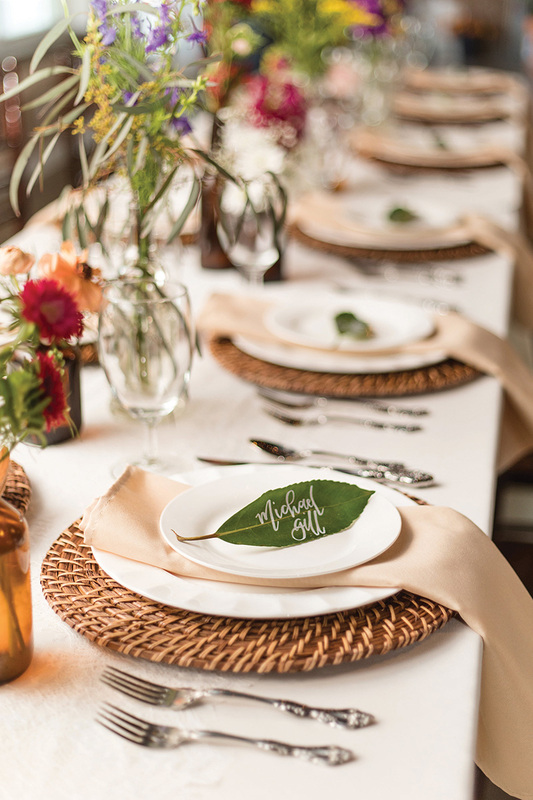 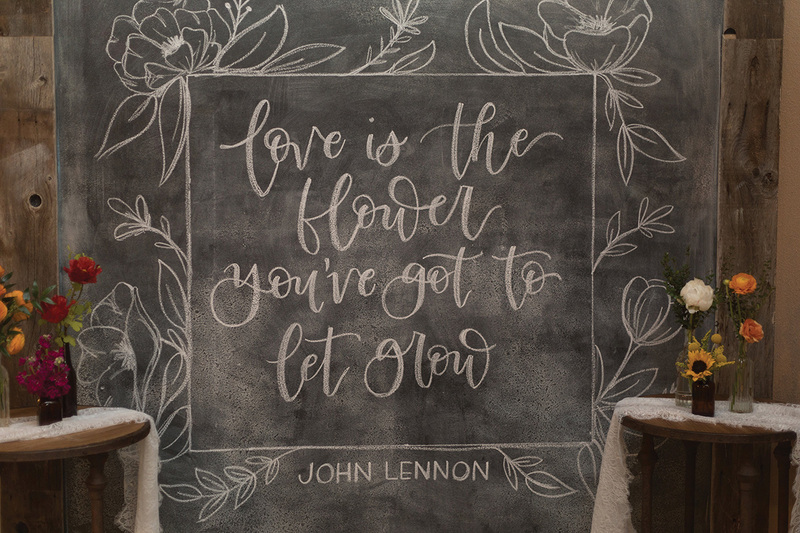 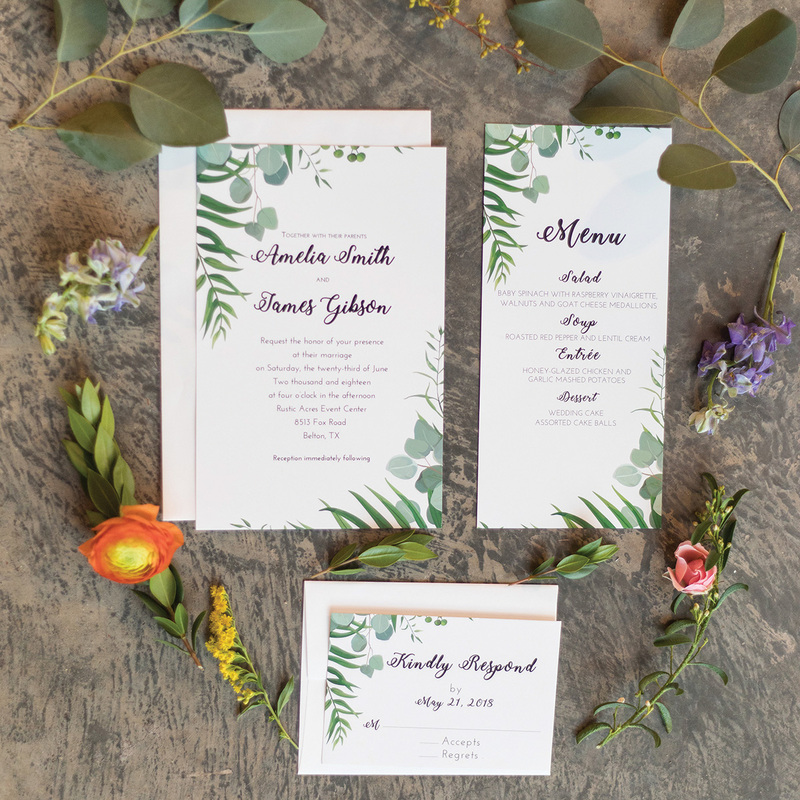 Printed leaf place cards and a floral-draped cake brought elements of the outdoors in, while linen accents and a hand-lettered chalkboard gave the décor a whimsical touch. 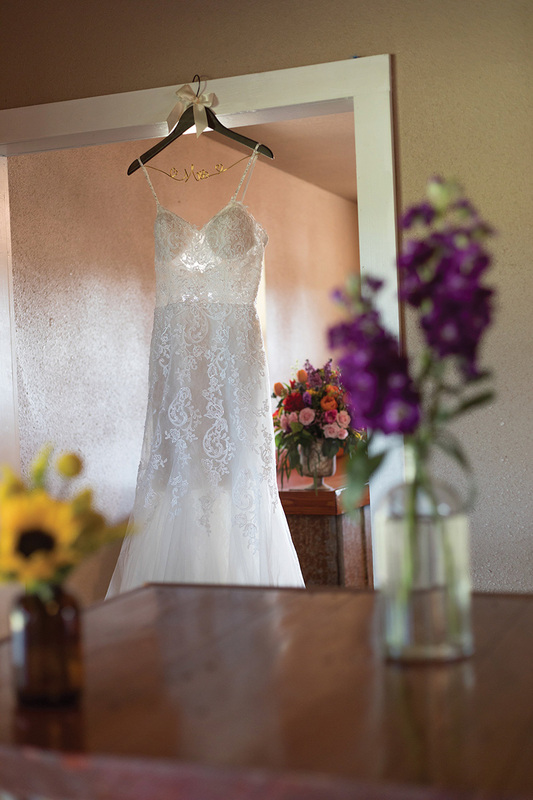 The bride’s dress was a beautiful drop-waist gown with intricate patterns and thin white straps. 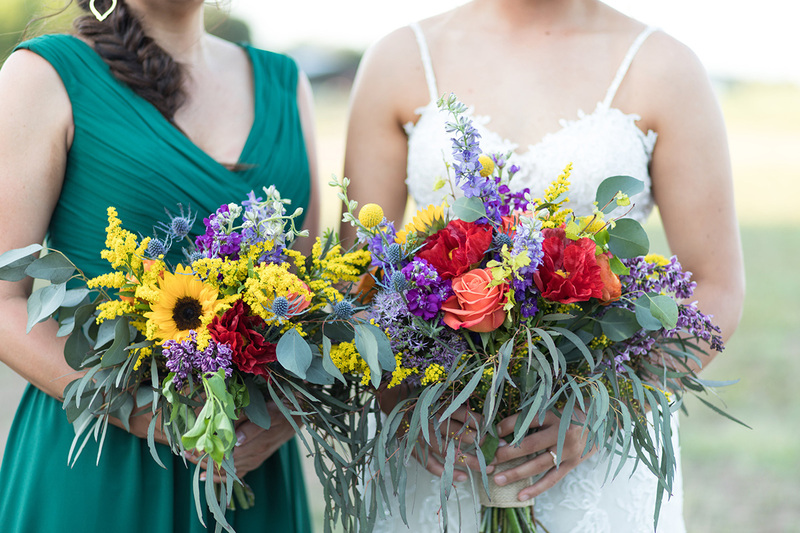 The bridesmaid’s rich, dark green-colored dress looked as elegant outside as it did inside, picking up the colors of the lush greenery. 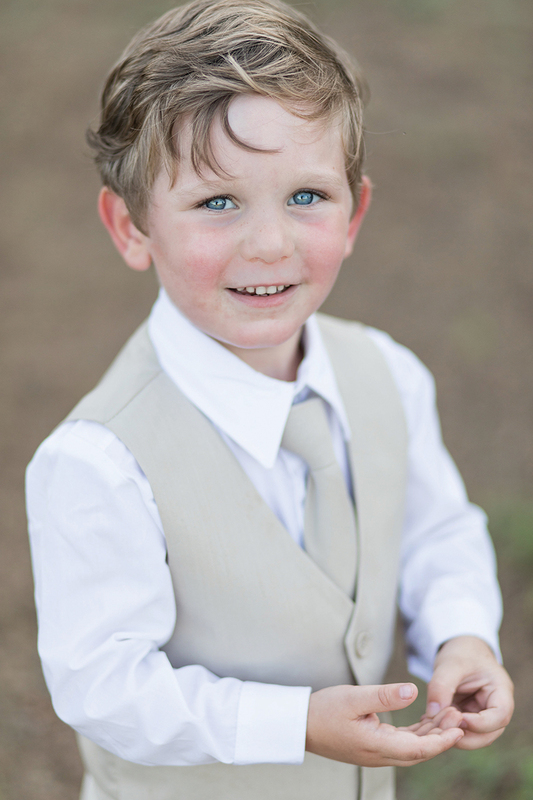 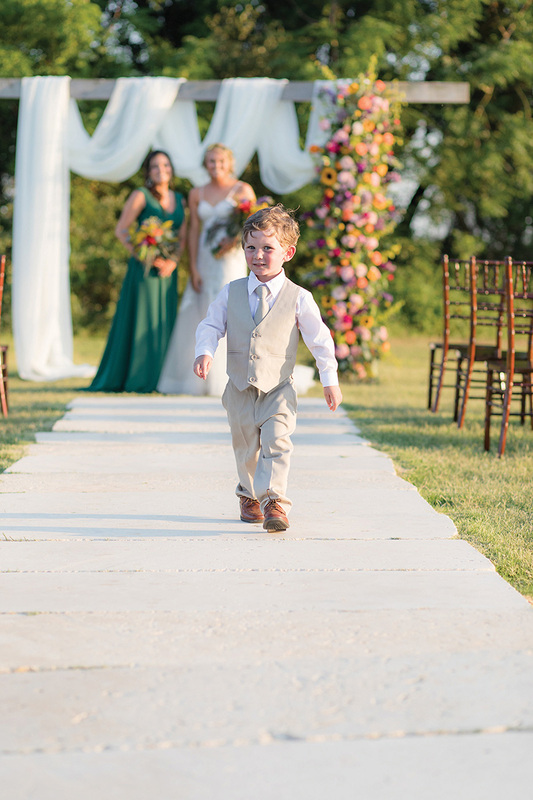 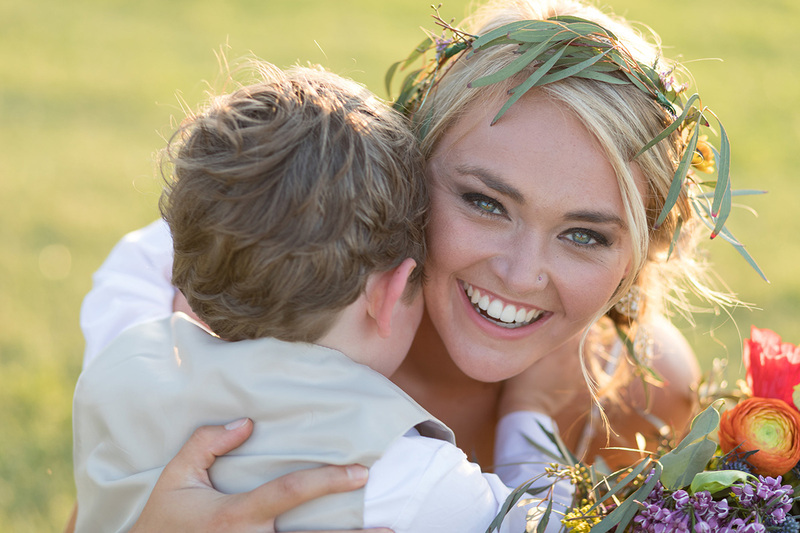 The ring bearer in a tiny tan suit brought the whole look together with a sweet sense of fun.